The visa was approved at the interview and the interviewer told her she should receive her visa in about a week, but it's been almost 3 weeks. From what I can see on the site, most people at the Bangkok Embassy are getting their visas in about a week and people after us have already received their visas. We did email the embassy and they just said it is stuck in administrative processing and there is no timeline they can give except to wait. I was wondering if any of you have had your visa stuck under administrative processing awaiting final approval after approval in the interview and how long it took you? I read somewhere most cases are resolved with 60 days; I'm hoping it won't take that long. The CEAC site just says ready. I didn't check right after the interview to see if the status changed. I found out about the site a few days later and when I checked it's always just said case status is ready. How do you know your in AP if CEAC says "ready"? The email I sent the the embassy said it was under administrative processing and the tracking number they gave us yields nothing yet. Did they send you an email when they sent the passport? Never know with AP. 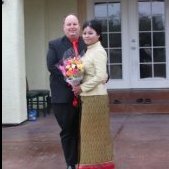 My fiancee got approved at her interview, went into AP for about 4 days, embassy emailed me that they needed another passport size photo? ( Gave then like 4 at the interview?) emailed the image to the embassy, about 4 days later switch to issued in the tracker, and then received the big envelope with passport and POE paperwork. So, I think it took overall about 2 weeks ( including the weekends)to get the actual passport, maybe a little longer, but the CO had told her a week also. Thanks guys. I will wait and see what happens.